Students practice on a street near their school. 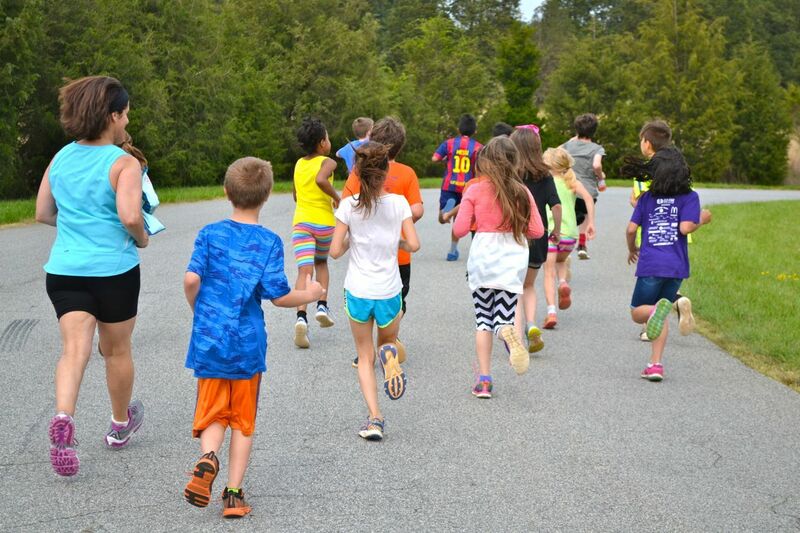 If an afterschool GO FAR club would be great for your school but your campus lacks the space for students to practice running, here are some ideas to help make your group’s practice a success. You don’t need a track for GO FAR. Many schools in our program don’t have one. They create a route using the playground, parking lot, sidewalks, wooded areas, or grassy fields around their school. Hilly property? Some coaches see it as a boost to training. Without a large gym and track at her school, Coach Vicky Fowler of Morehead Elementary uses the bus loop and sidewalks. She also has the students do hill repeat loops. “Raining days, I will do a sidewalk-covered loop, fitness Tabata, fitness stations, indoor pacer test, and a hallway loop inside the main building,” she says. And if you’re really tight on space on rainy days indoors, our new curriculum has Indoor Lesson Plans written specifically for schools that don’t have an indoor space. The lessons focus on building muscles and “power launch” moves, so they don’t require kids to run and can be done in a classroom or hallway safely. If you need help planning a running route at your school, we can help! Contact us at kim@gofarclub.org to discuss getting started.